Is the Hobie Outfitter right for you? Our buyers guide can help you make the right choice. 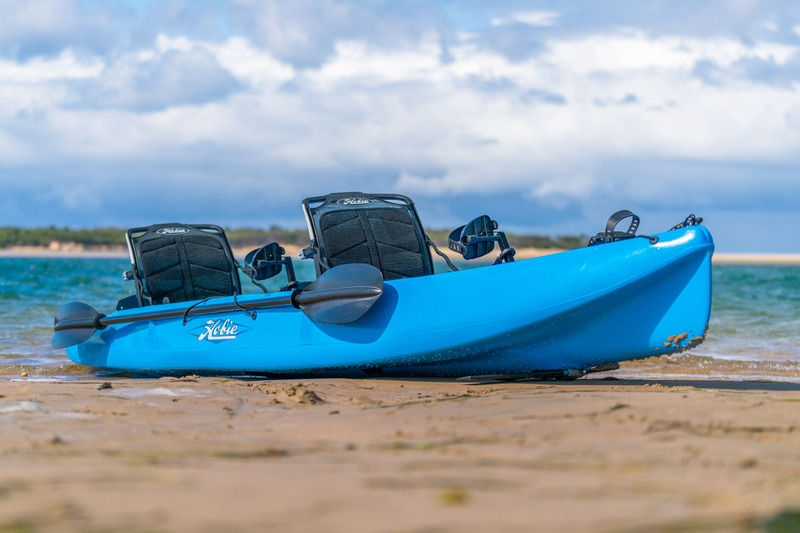 The Hobie Oufitter is the more compact of the Tandem Kayaks. Super stable with a carrying capacity of 193 kg. A wider and flatter hull enables you to stand for short periods of time. This is aided by the MirageDrive pedals being side by side. They will point down and act similar to a small daggerboard. There is three twist and seal 8" hatches and a good sized cargo storage behind the rear seat. Cart is stored under the bungee on the bow whilst on the water. Duel controls for the rudder and steering allows either person to take over when the other person has other things on their mind...like fighting a good sized fish. Suitable for flat water estuaries and rivers and is better suited for going solo. 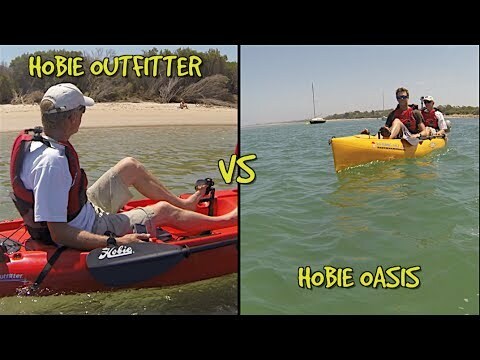 The Hobie Oasis vs Hobie Outfitter. Which tandem kayak is right for you? 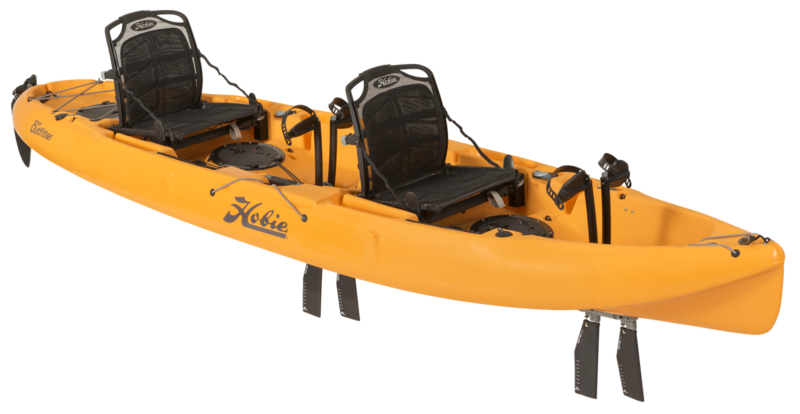 In this kayak video we take a look at the different tandem Hobie pedal kayaks and go through the features and specs of each kayak. Our on water test drive days are done on Andersons Inlet, Inverloch. Click the button below to book your Hobie Outfitter test drive today.